Please do some things with the sun. It shines a thousand fire on water, metal walls, weapons and anything else. It can be that there is already a topic above, so sorry. But not only apparently he will not have served, and in addition I have not found, so sorry. can be in the topic of bugs but I made a lot of tickets and Wildcare tells me that they read Game Suggestion topics, i hope they read and will do some things for those lights, this sun and those ultra powerful rays. I'm not going to write anymore I'm French and I do not speak very good english. i hope you will understand me. I post here some pictures that do not come from me, taken the net. Proof that I'm not the only one, and the French topics talk about it anyway. I could have made photos of the game myself, and precisely on the island. Wildcare, please do some things with the light and the sun that you do not need to play with the sunglasses! I love this game, it can be the best for me, and take care a few more years there are some details to improve. Bump, this is why I build with stone. This can be fixed (on PC at least) by turning off bloom. However, bloom can look very nice if it is not overwhelmingly bright. Bloom 0 disables it, and bloom 1 is too bright. 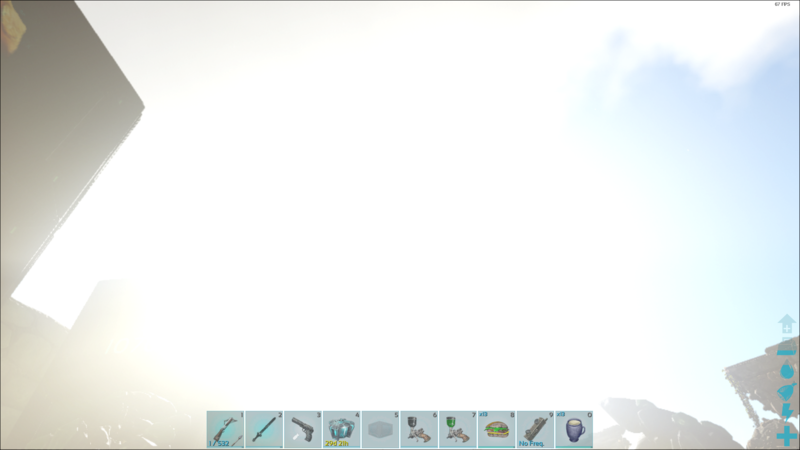 I want the bloom option to accept decimal values, or to have some sort of limit to how far the bloom effect can go, no matter how bright the light is. I’ve been noticing this too (on ps4). The sun’s way too bright, I can’t see where I’m walking sometimes. I’ll try and take some screenshots later. Have this same problem on xbox, really could do with removing bloom on console or giving us the option to, the glare is awful at times. They removed the bloom command from console didnt they ? Been a while since I tried it. yep, dont see bloom option on PS4! so, come back with my screen shot today, please WC fix that! its very important! and of course when it gets foggy it gets way worse. I wanted to add my support to this suggestion as well. I can't even travel certain directions or it gives me a real life headache from the light so bright. I've tried turning my brightness down but the sun is just blinding. yeah exatly! Change the gamma, change nothing! and change by the TV change nothing too. This screenshot right here is taken on PC with r.bloomQuality 1. We cannot have bloom at all without it blinding us. How is this the lowest not-disabled bloom setting? Bloom can look amazing if it is not this harsh. On PC change 1 to 0 and its the best you can have with this! New screenshot ridiculus about the light on this game! Sometime, if you see in the direction of this "SUUUN" (so big) like on my screenshot, flying with wyvern (or others dinos) you cant see nothiiiing, just WHITE! Ark : Survival of the White. I love this game so much but i hope they fix this console and PC. Guy! ?? on your website! your screeshot, you have the same problem! So you know that . Its extraordinary to put S+ officiel now on the game and other things! But, i wait so mutch the patch about the light! yeah fixe that ?